Last year at AASL in Phoenix and then later at NCTE in St. Louis, someone mentioned the dearth of books for children that portray families living in poverty. I thought instantly of HOW TO STEAL A DOG by Barbara O'Connor, because that family is living in a car. It's a wonderful story, full of heart and humor and goodness, as I've come to expect from Ms. O'Connor. 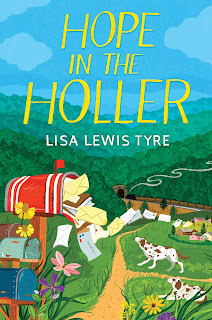 And now I have a new middle grade title to recommend: HOPE IN THE HOLLER (Nancy Paulsen Books, 2018) by Lisa Lewis Tyre. Readers, you will love Wavie and the gang. (Samantha Rose? Um... not so much.) This book is one of my faves of 2018! the name of Wavie's home. Lisa lives in Georgia, so we are in the same region of SCBWI, and our paths have crossed a number of times as we've both pursued our kidlit author dreams. She's smart and kind and lovely. 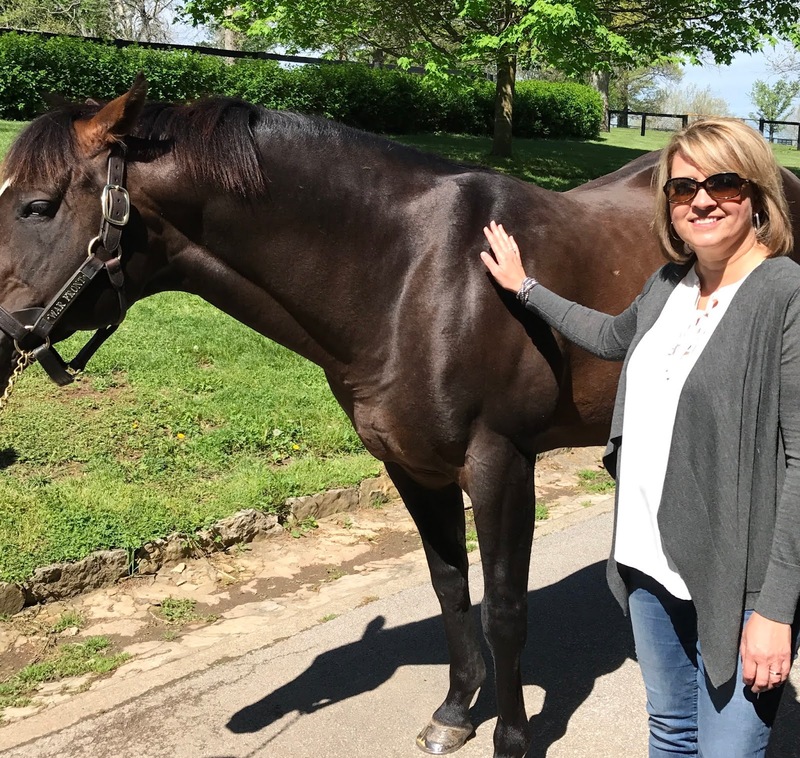 So it doesn't surprise me at all that I love this new offering from Lisa. 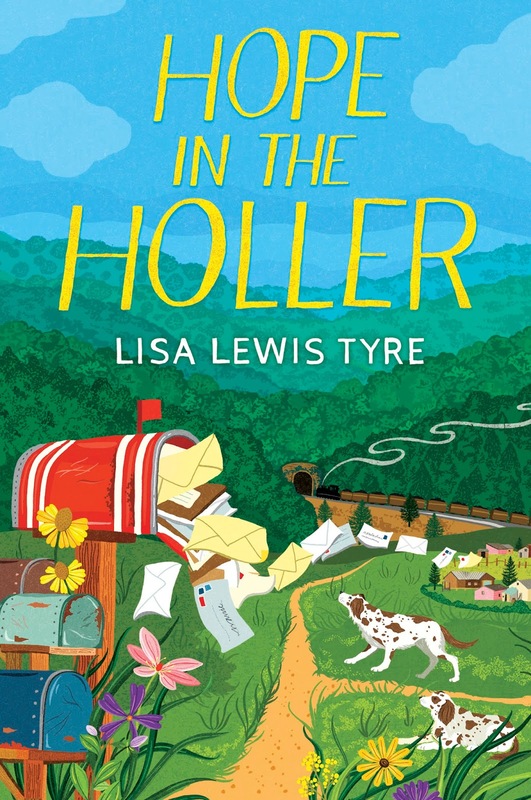 It's a beautiful book that yes, just happens to be set in a trailer park in what the kids call "Convict Holler" in Kentucky. And today Lisa is here to answer a few quick prompts. The difficult: Believing that I could do it! My first book was done on my time schedule, but HOPE was under contract based on just three finished chapters. I was stressed that I couldn’t get it done. Sleeping was very difficult. I prayed a LOT. The delicious: I’ve had such lovely feedback from readers, and nice reviews (2 starred). The School Library Journal review took my breath away - definitely delicious. You never know how readers are going to feel about your work so hearing from people that they enjoyed it, or that it touched them means so much. The unexpected: I didn’t know Kentucky well, even though I’m from right across the border in Tennessee and lived there briefly while in 1st grade. What a beautiful state! I have fallen head over heels with it. I’m so happy I used the small towns and hollers as inspiration for my setting. Anything else: I’m an adoptive mom; I’ve been a foster-mom. It was wonderful to enter Wavie’s world and explore the different ways we become family and the hopes of mothers for their children.